Showing results for tags '#Arizona'. 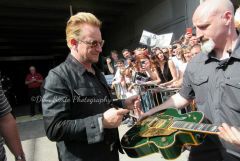 Bono signing Adam Bevell's Irish Falcon he gave him in Nashville on the 360 tour. 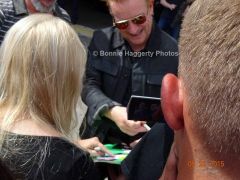 I was showing Bono a poster board card I had made of photographs I had taken of U2 from all the years U2 has played in Arizona. 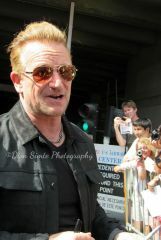 He really loved looking at all the photos and feel he had 3 favorites! 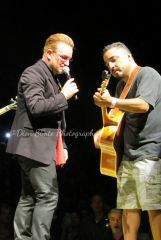 Thank you to Bonnie for capturing this photo of my time with Bono! Someone is looking at me! 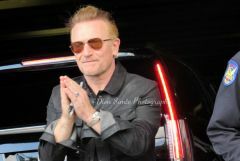 I asked Bono if U2 were going to play "In God's Country" and he said no they didn't plan on it. I was shocked and told him they had to because it was Arizona. He turned to Adam Bevell and asked him if he knew the chords. 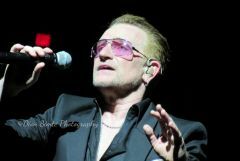 So the plan was to bring up Adam to play it but when it was time, Bono forgot that Adam was up in the front of the stage by the Edge. 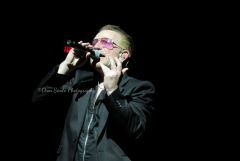 That was where he had pulled up Adam's little son Adam for "I Will Follow". So he pulled up Marc at last second. 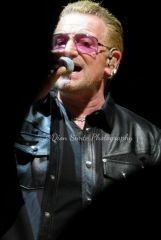 I was sad Adam didn't get to go up, BUT so EXCITED Bono actually change the set to play MY song request!! It was just amazing! 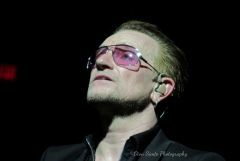 Everyone around me who heard the conversation with Bono was blown away by what he did.